Thanks to all project facilitators for your contributions to the project descriptions, and your ongoing hard work and enthusiasm, and to all the students and teachers who make these projects a success. Download the English version of the 2018-2019 iEARN Project Book. 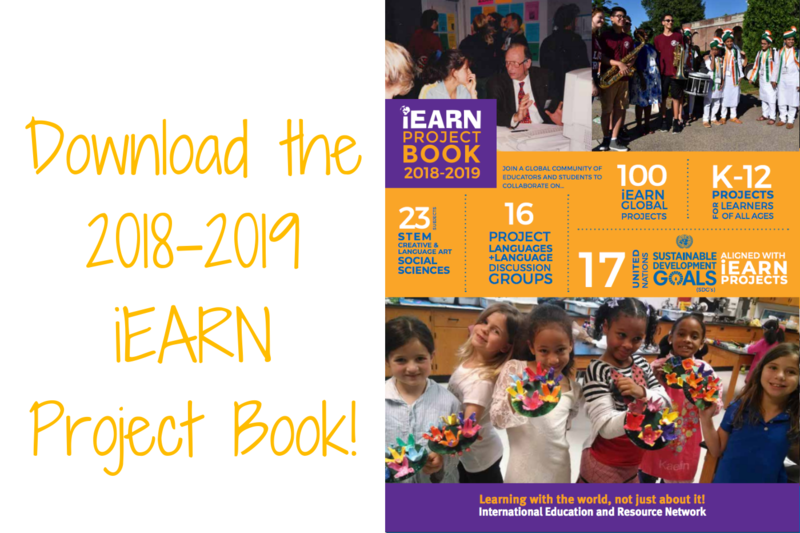 View the Spanish version of the 2018-2019 iEARN Project book. Nuevo libro de proyectos con TODOS los proyectos de iEARN LATINA y otras informaciones. View the traditional Chinese version of the 2018-2019 iEARN Project book. For an updated list of iEARN projects, visit the iEARN Collaboration Centre Project List. Note: Many new projects begin throughout the year, while some projects end. The iEARN Project Book includes projects active at the time of printing each September. For a complete listing of iEARN projects, visit the iEARN Collaboration Centre Project Space.